November 22, 2013 HeatherLeave a Comment on A Set of Delayed Appointments – For What Purpose? A Set of Delayed Appointments – For What Purpose? I allowed myself to get down this week. Yes, I became vulnerable to discouragement. I won’t go into specifics but we were waiting upon some one to help us. The assistance required a visit to our home. We were given an appointment date. When that date and time passed, a phone call came saying the person wouldn’t be able to make it. Another date and time was offered. Once again, that day and time came and went. An apology was given and another appointment date was suggested to meet. This time the day came and went without any communication until very late in the day when an email arrived without explanation, but with yet another appointment date. On each day, I planned my day around the appointment. I cancelled other plans. I waited. And still this person did not come as the individual had promised. I tried not to be frustrated, but I was. I tried not to be impatient, but I was. I tried not to be judgmental, but, I confess to you, I was. Now, this was not a life or death issue. Now that this whole thing is done and dusted, I know it won’t be an event that stands out as one of my top ten South African memories (well, at least not yet). However, enfolded within this set of challenges was a lesson that my God wanted to bring to my attention this week. My God did not want me to judge, complain or condemn. He wanted me to pray. And He wanted me to wait. Throughout this wait, I had been praying for this individual. There had to be reasons for every delay. And ultimately, as I have been learning about what it means to wait for something or some one, I am actually waiting upon my God to work things out. My eyes and my heart and my expectation should be centered upon Him and not individuals or circumstances. However, I found it difficult to accept this truth this week. I let myself get down. Well, later in the day, the individual finally arrived. Granted, this appointment came four days late, but it came nonetheless. As this individual shared about what had been happening and the reasons for every delay, my frustration and judgment melted away into a pool of compassion and grace. For just as I was waiting upon this individual, various setbacks and challenges were being heaped upon this person’s shoulders and the weight of it all was difficult, if not impossible to contend with as one person. This individual asked for my forgiveness and apologized for every delay. My Lord had asked me not to condemn this individual for the frustration and discouragement that had come due the previous delays. In addition, I had to assess my own life and my own motives. I needed to consider how often I have asked others to wait for me to do something for them and delays have prevented me from fulfilling my word. It has happened. As I shared, I cannot go into specific details about this week. However this visit was necessary to helping our family continue forward with a whole other set of time-dependent tasks. We could not take another step without meeting with this individual. I would have loved to have had this all completed on Monday when the first appointment had been set. And yet, my God took me through a set of circumstances this week that helped me appreciate His word and His guidance in a way that I never would have otherwise. My wait was just four days. That is not very long in the scheme of life. 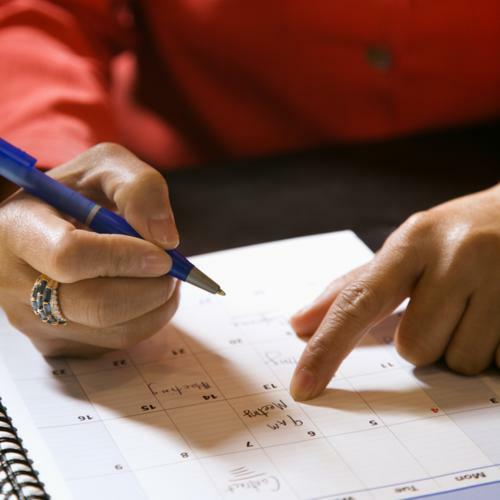 It was difficult for me because of having to plan my day around appointments that never materialized. One of those cancellations was time with a friend. Since beginning my grad program this year and being so involved with homeschooling and family life, I can count on one hand how many times I’ve been out with a friend since May. I am so ready for some girlfriend time. My graduate program ends in three weeks, and so my life will return to some degree of normalcy again without having to spend 2-3 hours per day on my studies and writing. I’m looking forward to that! Perhaps you are also waiting for something or some one, and it hasn’t been an easy wait. I can totally empathize. This world isn’t a perfect place and troubles, wrongs, delays, and setbacks abound. As Proverbs 20:22 exhorts, we must seek out our God and leave every delay, circumstance and hope in His hands. He promises to plead our cause. He promises to maintain our rights. He promises to act in His own due time. He promises to deliver. If things had occurred on my time table as well as this individual’s, we both would have preferred to have had this appointment completed earlier in the week. It didn’t happen according to our preference, but rather to the will and preference of our God. Yes, this individual is also a believer in Christ. And now that I know what is going on with this individual, I have been given the opportunity to remember this person in my prayers. Will we meet again? It looks like we will, and as a result, this acquaintance has the potential to become a friend… all because of a set of delays. This wasn’t on my radar at the beginning of the week; that is certain! Previous In Case You Think No One Is Noticing…. Next Making the Pathways Smooth…One Year of Cancer Freedom!